December 10, 2015 – A classic holiday cheese board is a great addition to any party, but today we’re giving you a little cheespiration to go beyond the board. For a grown-up take on your favorite childhood meal, try this Lobster Mac recipe from the ALDI Test Kitchen. With warm, cheesy goodness in every bite, you’ll for get mac n’ cheese could ever be made instant. Add a handful of shredded cheddar cheese to your pie crust dough for a perfect balance between sweet and savory. 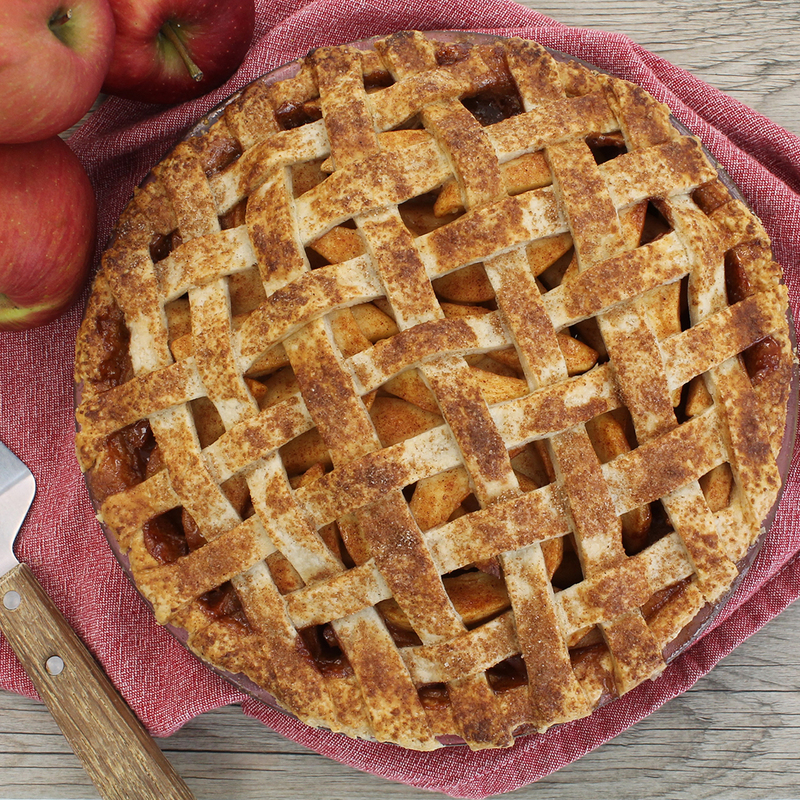 This could be the secret ingredient your pies have been craving. Spread more than holiday cheer this season and try our Peach Ricotta Pizzette recipe. 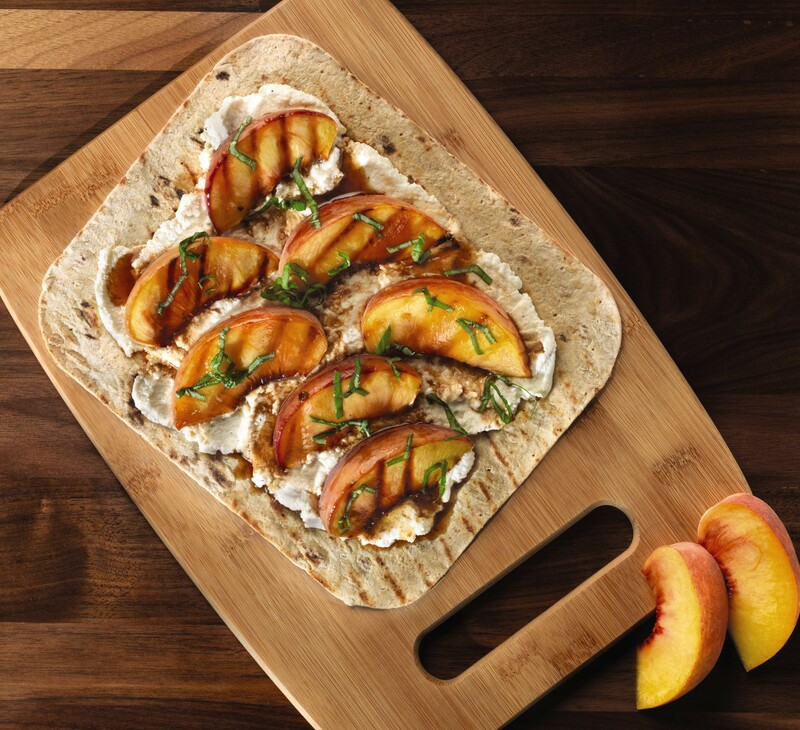 Succulent peaches atop a creamy ricotta spread make for a mouthwatering pair. Kick classic mozzarella sticks up a notch and oven fry our Specially Selected Honey Goat Cheese Log. Crunchy, creamy and delicious – sounds like the perfect holiday treat to us. Love this post, or know a friend who could use some cheespiration? Spread the love by clicking the share icons above! More info and recipes for goat and sheep cheese. Love the variety but need more options other than soft cheese (like parmesan, mozzarella, etc.) There are many more out there and I’d love to see them at Aldi!! Is there a recipe for the fried goat cheese mentioned above?